People with dementia who get tired are sundowning? What a load of rubbish! ← Cats, dogs… and unconditional love. 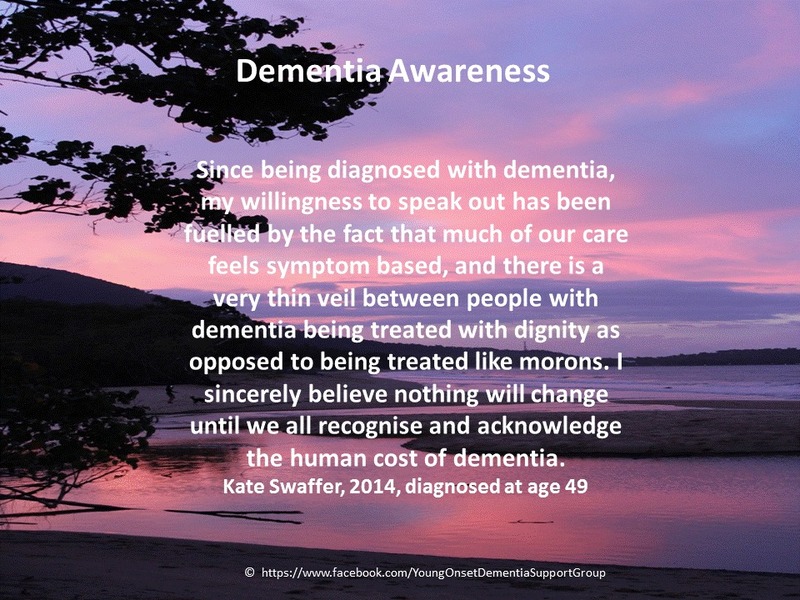 I wish that care providers informed themselves of what the person’s diagnosis means and worked with the symptoms expressed by the person living with dementia. One size does NOT fit all, yet there’s an assumption that dementia has just one pathway, ie “the long goodbye”!!! And also for all your great comments at the summit in Canberra. Thanks Jane… and I wish I could remember what you look like too?! Thank you, dear Kate, for your precious gift of writing so poignantly and powerfully. Until society at large learns to focus on the individual living with dementia instead of his/her condition and symptoms, a terrible, needless burden is added on them.